Peer ratings also confirm Mr. Aguirre’s pursuit of excellence. Martindale-Hubbell peer review rates Mr. Aguirre as “AV® Preeminent™ 5.0 out of 5,” as it has for the past three decades. The Av Preeminent rating “demonstrates that a lawyer has earned the highest rating available for their legal ability and professional ethics.” The Consumer Attorneys of San Diego honored Mr. Aguirre twice with its “Outstanding Trial Attorney Award” and a third time with its “Outstanding Advocate Award.” In November 2013, Mr. Aguirre was again recognized as one of Southern California’s "Top Rated Lawyers" by American Lawyer Media and Martindale Hubbell. Mr. Aguirre’s pursuit of excellence goes beyond winning the big case. He has cut new legal paths where none existed. When shoddy construction plagued California homeowners in the 1980s, Mr. Aguirre “pioneered” a new practice area, according to California Lawyer Magazine, so his clients could obtain the funds to repair their homes. In 2007, San Diego Lawyer Magazine wrote: “San Diego lawyers once didn’t believe plaintiffs could win construction defect lawsuits. But that was three decades ago, before Gary J. Aguirre led an initially tiny band of attorneys who proved them wrong.” More than three thousand California attorneys and law firms now practice in the area Mr. Aguirre pioneered. The same commitment shows up in the remarkable results Mr. Aguirre has obtained in individual cases. When PSA Flight 182 crashed into the center of San Diego claiming 144 lives, it was the nation’s worst air disaster. Eleven months later, Mr. Aguirre obtained a summary judgment holding the air carrier liable to all of the victims’ families. As reported in San Diego Magazine, he and his co-counsel then obtained a record jury verdict for one of those families. San Diego Attorneys gave Mr. Aguirre “rave reviews” for his handling of the PSA case. Over the past five years, the media, including the New York Times, Forbes, The Wall Street Journal, Fortune, Time Magazine, Good Morning America, PBS, and NPR have tracked Mr. Aguirre’s string of victories against the Securities and Exchange Commission. In all, Mr. Aguirre proved to the satisfaction of two Senate committees, a US District Court, and three federal agencies that the SEC acted unlawfully when it derailed a major insider trading investigation led by him as an SEC Senior Counsel when it got too close to some of Wall Street’s elite. In another case, according to the San Diego Transcript, Mr. Aguirre obtained a record jury verdict against Johns-Manville, a Dow 30 company. Citing Manville’s SEC filings, Mr. Aguirre argued Manville would file a Chapter 11 bankruptcy in 45 to 60 days, because of its contingent liabilities on asbestos claims, and obtained a bond guaranteeing the judgment. The Los Angeles Times told the outcome: “It was a prescient argument. In a surprise move nearly two months later, Manville filed for protection from creditors under Chapter 11 of the federal bankruptcy law. Manville’s unexpected bankruptcy filing is controversial because the company is financially healthy.” Mr. Aguirre’s Manville prediction was reported by the American Bar Association Journal, the Wall Street Journal, the New York Times, and the San Diego Daily Transcript, Was Aguirre Prophetic on Manville Filing? Mr. Aguirre collected the judgment in full with interest. Mr. Aguirre’s prediction that a Dow 30 company would file bankruptcy was not his last financial forecast to come true. Mr. Aguirre began warning of the 2008 financial crisis more than two years before it struck. His June 2006 testimony before the Senate Judiciary Committee described in detail how lax SEC enforcement was allowing Wall Street to recreate the conditions that delivered the 1929 Crash. In October 2007, as keynote speaker in an international securities conference, Mr. Aguirre warned a Wall Street audience of 800 that the same two dynamics that delivered the 1929 Crash—market abuse and Wall Street leveraging—were unchecked by regulators and out of control. One month before Bear Stearns collapsed, his letter warned the Senate Banking Committee the nation’s banks and in particular Bear Stearns were at risk due to off-the-balance-sheet exposure in subprime debt and “$42 trillion in CDS [which] differ little from gambling.” In September 2008, Mr. Aguirre anchored a debate team at the Sibos conference, one of the world’s largest banking conferences, on the causes of the financial crisis. On September 28, 2008, Mr. Aguirre circulated an email to the leadership of key Congressional committees describing why the “bailout bill” is “Main Street’s Gift to Wall Street.” The following day, September 29, 2008, Mr. Aguirre’s projections on the costs of the bailout were cited on the floor of the House during the debate over TARP. Mr. Aguirre has two law degrees: an LL.B. from the University of California’s Boalt Hall, where he was a Ford Foundation grantee, and an LL.M. with Honors from Georgetown University Law Center focused on securities, financial regulation, and international law. 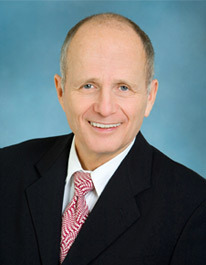 Several of his articles published in recent years in professional and academic journals have focused on private and government enforcement of the securities acts. One of them, The Enron Decision: Closing the Fraud-Free Zone on Errant Gatekeepers?, took second prize in the national competition sponsored by the SEC Alumni Association for the best article on securities law. Other recent articles include: The Dodd-Frank Act: A FOIA Exemption for SEC Misconduct? Wall Street Lawyer, September 2010; Section 10(b) Has Hatched a New Theory of Securities Fraud, But Will It Fly? Consumer Attorneys of California Forum Journal (February 2004).